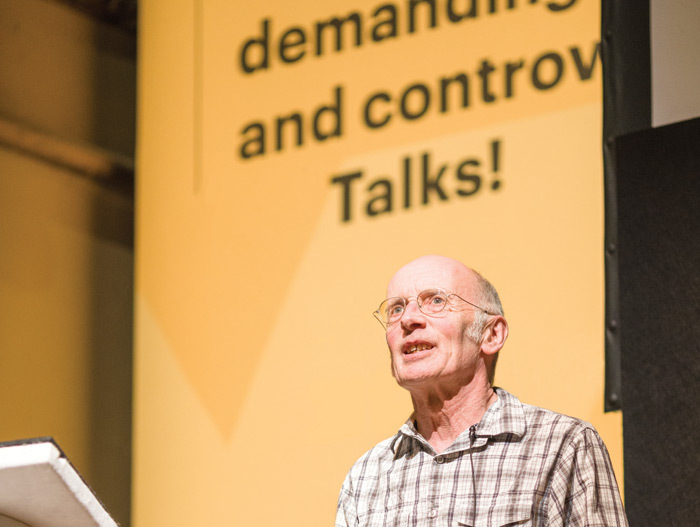 With the next edition of FX Talks only a matter of weeks away – in which FX hosts an afternoon of innovative speakers talking about radical thinking – I caught up with another one of last year’s speakers, Tim Hunkin. 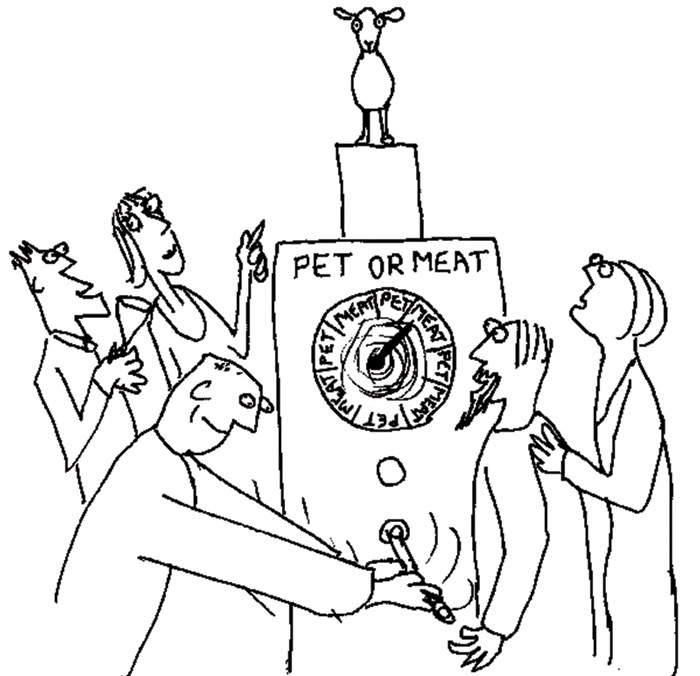 An engineer and cartoonist, Hunkin has carved a career and reputation for doing things a little differently, with his work steeped in humour as well as intellect and innovation. Having designed, engineered and made ‘machines’, which can be found in London and Suffolk, he also spent many years as a professional cartoonist at The Observer, as well as fronting a television show on Channel 4. He says: ‘I like to think with my hands and I would still call myself an engineer because I’m very interested in the history of technology. But when people ask my mum what I am she says “Oh my son: he’s a mad inventor”, and I think there is a difference; most engineers are improving on stuff that already exists and inventor invents something completely new. With my sort of machines, I am starting with a bit of wood and adding things to it.’ Hunkin recalls a childhood of making things out of cardboard and sticky tape and came up with his first coin-operated machine concepts – something which he has become known for – when he was about 11. One was a shoebox, to which he attached a motor. 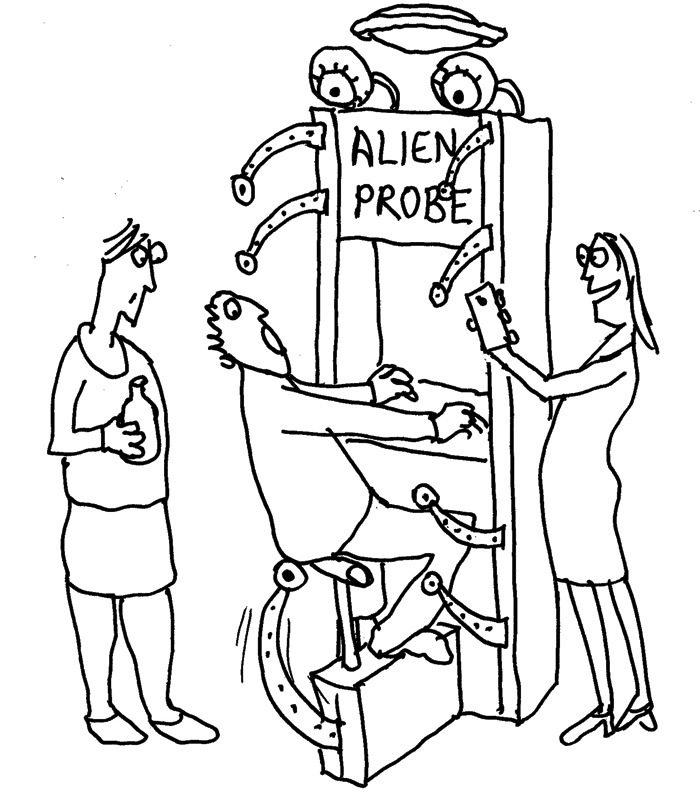 Users would put their feet through a hole in the box’s side for a surprise tickle, which would get laughs. It seems hardly surprising to learn that Hunkin graduated from Cambridge University with a degree in engineering, but it was something, he says, he drifted into. It was a degree that he enjoyed, but it was a degree he felt was setting him up for an office-based job, which he didn’t want to do. He found a job at an industrial model-making factory, but sensed the company had bigger ambitions for him, rather than him being ‘somebody just working with their hands’. Hunkin tried out some entrepreneurial initiatives, including selling biscuit stands, before getting a job at The Observer by chance, after a journalist saw some cartoons he’d drawn for a student newspaper, while still at Cambridge. It’s a complete lack of bureaucracy that Hunkin thrives in, evident in his work ethic, his work and his FX Talks presentation of last May. And it is the key to his success and adoration by the many who love his work. Visit Southwold Pier in Suffolk and you’ll see several of his arcade machines, some relocated from the closed Cabaret Mechanical Theatre in Covent Garden, as well as more recent additions. There’s a crudeness to their appearance, which features papier-mâché, wood and metal; hundreds of visitors queue up to ‘whack a banker’, walk a dog, take a package holiday or try and cross a busy road with a zimmer-frame without being run-over. Hunkin was met with rapturous applause during his FX Talks’ presentation last year for asking the question, wouldn’t it be great if you could get up from your desks and go into the workshop and start cutting up bits of wood? People in the design and architecture communities certainly seem to want to work more with their hands, if the audience’s reaction is anything to go by.